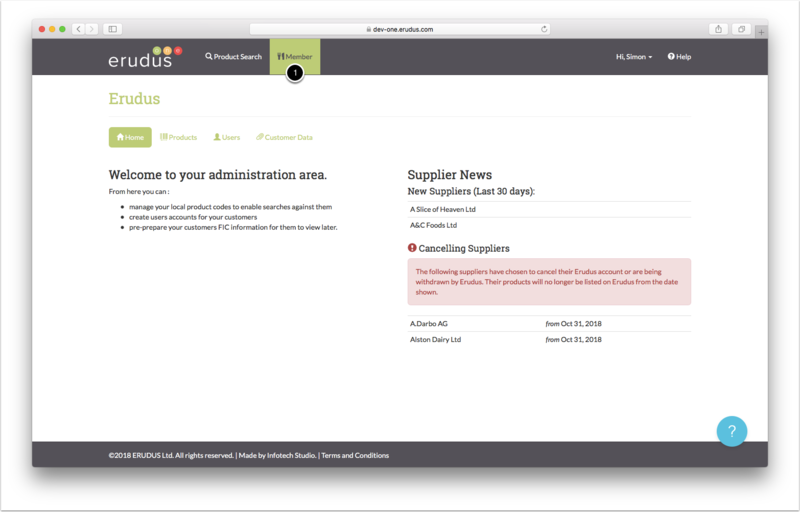 By clicking on the member tab at the top of your screen this allows you to access the member dashboard (1). 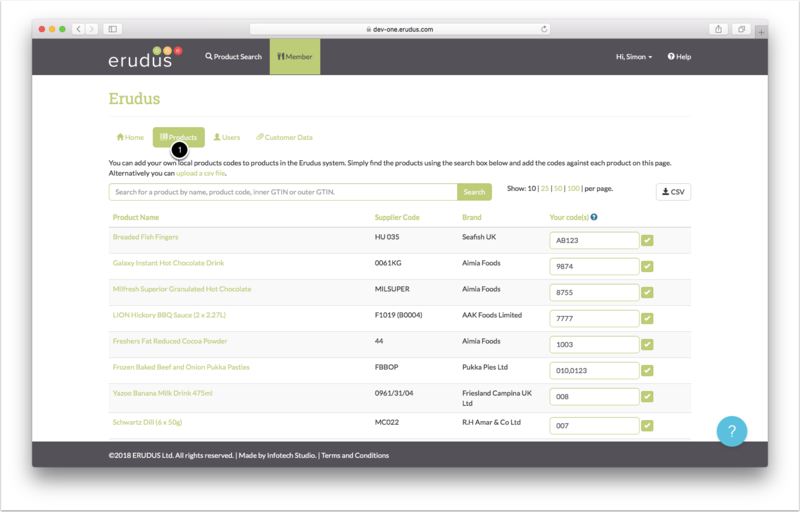 By clicking on the products tab (2) within your member area this will show you all of your products on the Erudus system. Using the search bar find the product you wish to add the local code to by searching the product name, supplier code or by using the inner or outer GTIN. 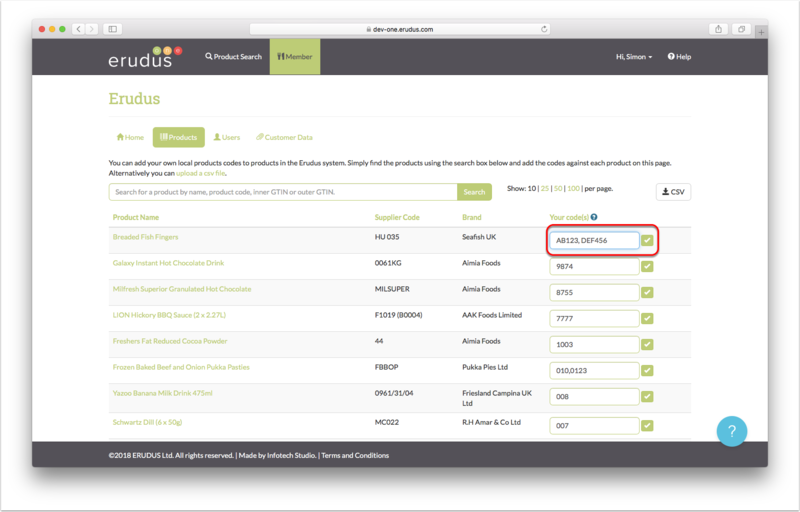 Type in your local code into the 'Your Code' box then confirm the action by clicking the green tick symbol to save this local code to this product. If you need to add more than one local code to the product you can do this by separating them with a comma (as shown in the image).